Mountain biking has been a part of my life almost as long as I remember. I got my first litte pink mtb when I was 9 years old, and since then this amazing sport has been my passion. For me mountain biking is about having fun, connecting with people, adventures, pushing my limits, and competing. I have been competing on an internationel level since I was seventeen years old. Now I'm 20 years old and the sport has become a huge part of me. I'm a professional bike rider for Ghost Factory Racing. What got you into riding? I grew up on the outskirts of Napa, California where my sister and I would spend most of our time playing in the outdoors. I started playing sports at a really young age and I always have had a competitive drive. Riding my bike seemed to be a way for me to have the ultimate freedom. I would ride with my neighbor friends and we would race each other around and build things to jump off of. I loved being on anything with two wheels. In 2007 I started racing motocross in California but stopped when I moved up to Oregon due to a lack of races. In 2011 I reignited my love for biking due to being in Oregon around all the amazing trails here! I couldn’t get enough and decided to pursue racing mountain bikes as my career. What Got You Into Mountain Biking? I've always been into adventure sports. Something about being fully human-powered exploring mountains on 2 wheels was a huge attraction. As a young kid I remember spending hours on my bike day in and day out exploring the forest and finding crazy things to skid down and jump off of. I am still that same kid loving every minute on my bike. The places it takes me, people I meet, and experiences I get from it are what keep me stoked on it day in and day out. Bike: 2012 Specialized Demo 8. Custom raw frame. Fox 40, fox rc4, Shimano Saint groupo, Spank wheels and bars. Stomping Grounds: Love to ride the North Shore, especially Cypress. Favorite place to ride is Whistler. Favorite Trails: Dirt merchant, Schleyer, Aline, Crabapple Hits and Canadian open. Race Experience: Raced the Phat Wednesday series for 3 years now. This year will be my 3rd year racing the Fox Air DH for Crankworx. Bike lover since: The age of 3. Life highlights: Every day spent on my bike. Bike highlights: Racing for my country at numerous BMX, 4cross and DH World Championships. Racing highlight: 8th 2016 Cairns DH World Cup. Bit more detail: 23 year old Fitter/ Machinist by trade that has put it all on hold in 2016 to chase the dream racing DH World Cups. Favorite food: Anything coffee flavored. Favorite Coffee: LOAM COFFEE Boondoker hand ground and brewed in my stove top percolator out the back of my van. We are The Flannel Crew. We're a bunch of friends from Calgary, Alberta with a shared passion for bikes, flannel, trail building, good coffee and good times. One day, while taking a break on one of our favourite trails at Moose Mountain, we looked at ourselves, all wearing flannel, and said "Hey, we're like the flannel crew ..." The rest has been history. We've met some of the most amazing friends we could have ever asked for in the short time we've been in existence. The Loam Coffee family has been a great bunch and we couldn't be more thankful for all of their love and support. If you see us around, drop a line. We love meeting new people and we'd love to share a lap or a cup of coffee with you. Check out how we spread the stoke on our Instagram page @theflannelcrew. Stay rad! The Endurobros are a group of friends based in the Ozark Mountains of the Gnarkansas River Valley. We are fortunate to be located about an hour south of the fast expanding Oz Trail System in Northwest Arkansas. Our goal is to have as much fun as we can on our bikes, and share our experiences with everyone via our @Endurobros_Mtb IG page. If you ever find yourself in our area hit us up. We would love to meet you for coffee and show you our trails! 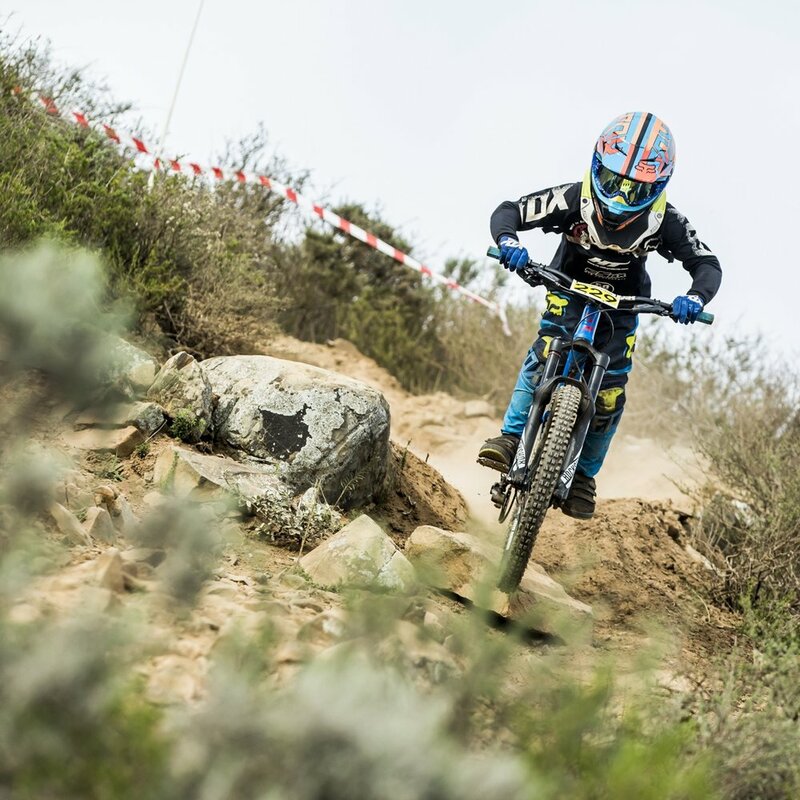 The Wolf DH Racing Syndicate is a family of youth developmental riders in Cape Town, South Africa. As 3 brothers and 1 sister they all share a passion for racing Downhill, with a long-term goal of competing internationally in the WC DH Cup Series and World Champs. Their passion and love to get out and live life sets them apart; win or lose they just enjoy being on the bike and having fun. Our current partners include HT, Specialized, Propain, Fox Head Racing South Africa, SussMyBike, cSixx, Leatt, NFB Wealth Management, Go-MX, Hyperice, Muc-Off, Bogus Designs and The Hanger Bike Co. The Loam Coffee family has been supportive as we have all grown, and we are thankful for their support. If you are ever in Cape Town, then give us a shout, come have a coffee, and shred some trails! You can follow our racing exploits on our Instagram page @wolf_dh_syndicate.